Most members of the Austin College Class of 2015 likely can’t imagine their daily lives without computers—not to mention hand-held computers—or cell phones specially equipped for taking photos, texting, playing music, mapping travel, and providing information about almost everything. (A few students even talk on their phones.) A walk on campus will reveal students using all these advancements of the digital age as they move from one class to the next. Since most were born in 1993, such a lifestyle is to be expected. And, now that they’ve enrolled in Austin College, they will use that modern technology to explore even more directions and farther afield. The Class of 2015 includes 359 students, and in contrast to many liberal arts colleges where women make up the majority of the student body, this class is 52 percent men and 48 percent women. As expected, the class has an outstanding academic record and represents a wide variety of academic interests and goals for the future. While surveys and statistics provide other facts about the class, each student brings a unique history. Backgrounds and experiences vary widely; some students have recovered from severe illness and physical trauma; others have learned to deal with developmental disorders and learning challenges. A few students have had the privilege to save lives while working as lifeguards or to act in emergency medical situations as EMT technicians or nurse assistants. Others have adjusted to family changes and conquered the setbacks that can be associated with starting new schools and moving to new locations. Most have received a variety of honors for excellence and accomplishment. 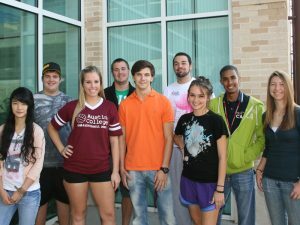 The students have been involved in myriad of school, community, and religious activities and organizations. 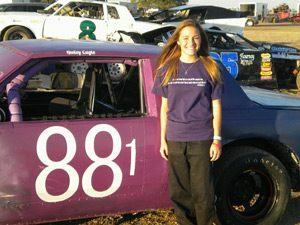 One student has learned to drive race cars; another is a test tube triplet; at least two have been selected for Up with People. A majority of students have been involved in volunteer service; many have traveled internationally. One young man has received several honors for his research in cancer treatment. A young woman founded a community service organization that has helped individuals in developing countries. Other stories are unfolding and with each opportunity, new chapters will be written. The Class of 2015 ’Roos have stepped into place equipped to grow into the leaders and servants that mark the Austin College experience.